The Grosvenor UK Poker Tour heads to Royal Berkshire this week with some princely prizes on offer in GUKPT Reading. The chief attraction of course of course is the £100,000 guaranteed Main Event which has two opening day flights starting at 1pm on Thursday and Friday. The buy-in is £500+£50 which will get players a starting stack of 20,000 chips and a chance at bagging a very healthy five-figure score. There are plenty of opportunities to qualify on the cheap with seats guaranteed in satellites taking place today, tomorrow, Wednesday and Thursday. Buy-ins range from £20 rebuys through to £50 freezeouts. Satellites aren't the only side events lined up in Reading over the next few days. The tournament docket also features a total of 12 NLHE and Omaha events offering something for everyone regardless of their bankroll. Check out the full GUKPT Reading schedule. Paul Vas Nunes topped last year's GUKPT Main Event. 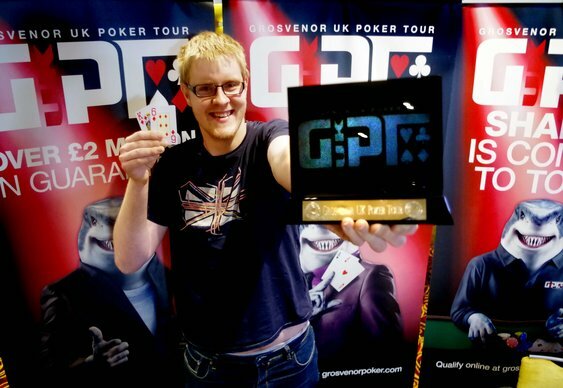 The UK grinder already had a string of online titles under his belt as well as a win in the Unibet Open series and added the GUKPT crown to the CV after topping a 286-runner field. That performance was good enough to bag him a score of £29,200.